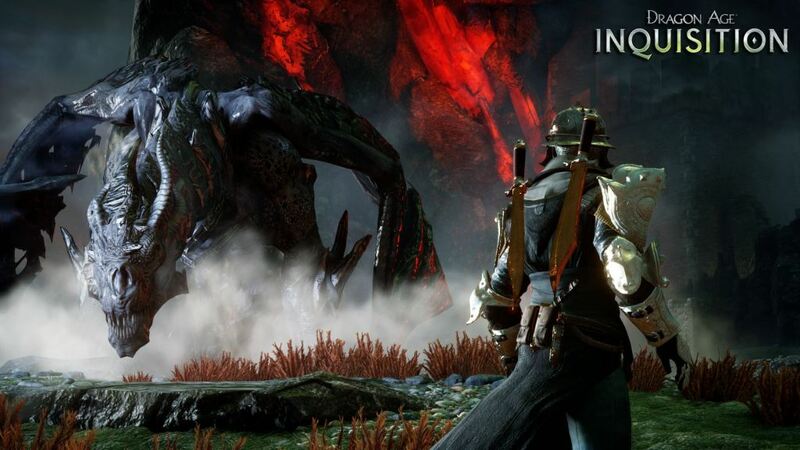 The Dragon Age series makes a triumphant return on the shoulders of Dragon Age: Inquisition. Fans had their doubts, but rest assured that DAI returns to its roots on many elements that made Origins special while also combining some of the best features from Dragon Age 2. Incorporating over 100 hours of content and multiple, fully explorable, open-world environments, this is a game of epic proportions. 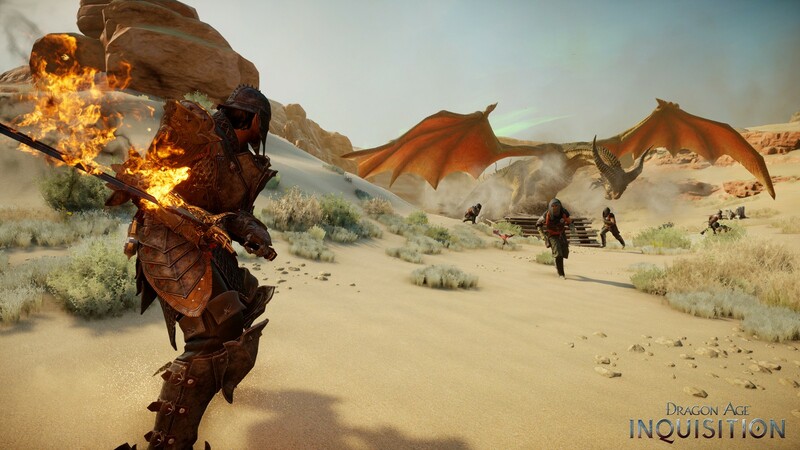 Although it may fall short on a few gameplay elements, Dragon Age: Inquisition is a strong “Game of the Year” candidate. Players have the opportunity to play as one of four customizable races: Human, Elf, Dwarf, and Qunari. 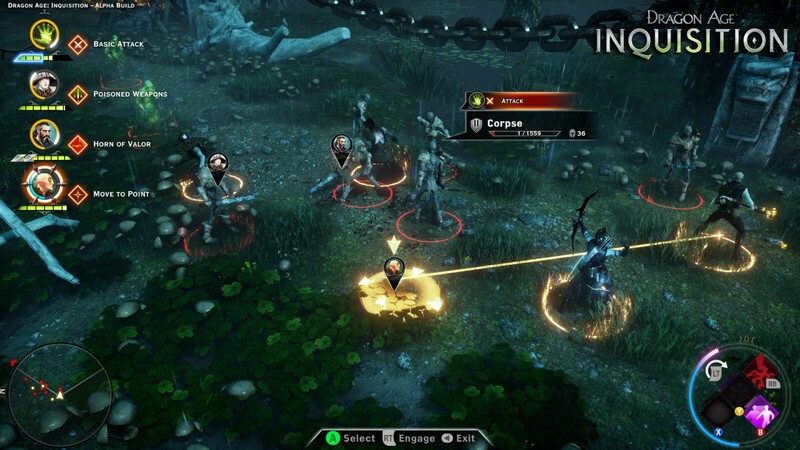 Taking place not long after the events of DA2, players play the role of the “Inquisitor”. In the middle of the war between the Templars and Mages, the Inquisitor awakens to discover a massive rift between the spirit and mortal world has opened, threatening the entire planet with an invasion of demons. The Inquisitor soon discovers he/she has the mysterious ability to close these rifts, and potentially save the world. From this discovery, it’s the Inquisitor’s job, with the help of new and familiar allies, to build an army and spread its influence to gain power and support. Building up your army is an area worthy of note; it’s what the “War Assets” mechanic in Mass Effect 3 should have been. 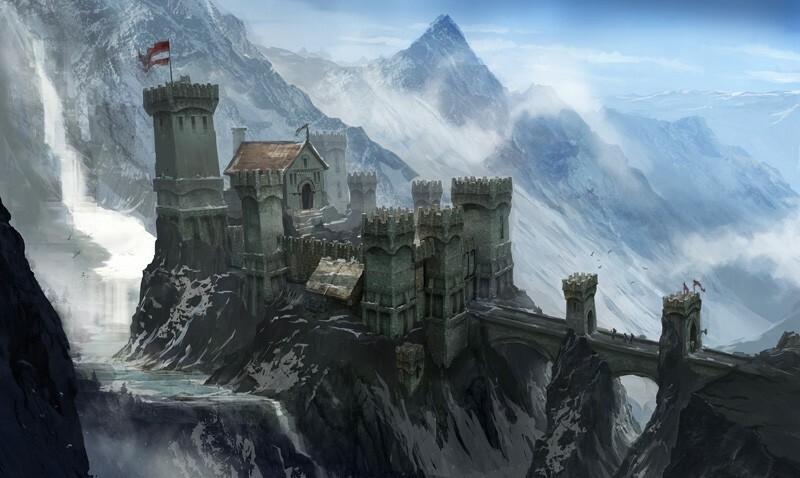 Players must claim landmarks, capture fortresses, aid potential allies, just to name a few ways to gain power and influence. Completing these missions and tasks can reward you with new items, areas to explore, missions, and even interactive characters for your home base. Building your power and influence actually provides tangible resources that can affect the game. Later in the game, players acquire a castle called, “Skyhold”, that acts as your base of operation that can be fully explored. This massive Keep caused me to get lost multiple times early on, and I continued to discover new rooms through the majority of the game. The keep can be decorated and restored as long as you gather the resources to make the repairs. The courtyard and halls feel alive as every character acquired during your quest roams the area (although a in a limited area). Relations with your party member can be strengthened here in familiar Bioware fashion. It wouldn’t be a Bioware game without an interesting cast of characters, and DAI doesn’t disappoint. Each character is exquisitely voiced with unique personalities. With nine party members in total, players have plenty of options, and the extensive banter between each party member during journeys never get old. Supporting characters are done equally as well, and will definitely provide a few surprises. 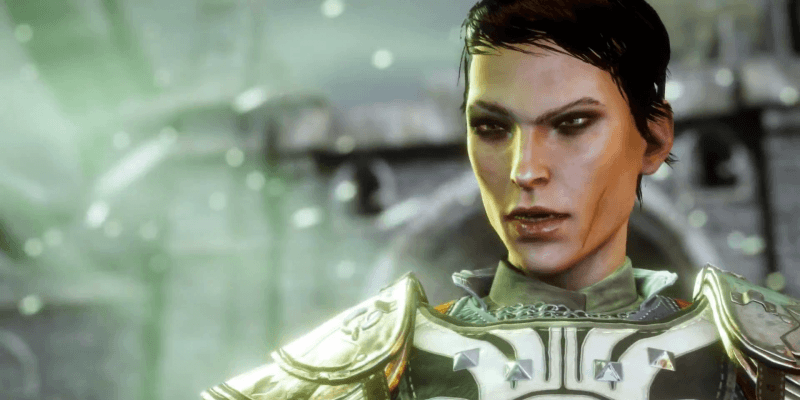 Perhaps the most important part to DAI is the story, and it definitely delivers on that front. Although the final battle is lackluster, it’s not going to cause an internet war like Mass Effect 3. The examination of political intrigue and faith is intelligently handled, especially with religion. Mirroring many elements of Christianity, DAI did an excellent job incorporating all views on the subject. Religion in DAI is filled with ambiguity, constantly asking what you believe to be true, not revealing what actually is the truth. Faith is a heavy theme in the game, and if you choose to believe, your character’s faith will both be tested and validated depending on your personal outlook. The shift to an open-world environment is an ambitious one. The open world exploration of DAI is one of my favorite aspects to the game. Perhaps a more accurate description would be “regional exploration” rather than “open-world.” With around twelve HUGE areas to explore, there is an absurd amount of things to do. Some may consider the overwhelming amount of content to be a negative, but I certainly don’t. Locations are not simple copy-and-paste areas, there are a diverse selection of areas to explore that never look the same. The amount of detail, both large and small, is mind blowing, and I highly commend Bioware on the job they did building this beautiful world. Combat in DAI, overall, isn’t bad. It is more action oriented than Origins, but sometimes fighting enemies can be dull. This is largely in part due the high health levels of enemies. For lower tiered targets, it can be a grind; however battles against a dragon can be absolutely epic and quite fun due to their size, mobility, and toughness. The tactical camera is back if you prefer to plan your attacks more methodically, but I stuck to real time combat, and did just fine. Item crafting in DAI is both a positive and negative. I like the idea that it’s there, but ultimately, crafting items hurt my overall enjoyment of the game. The reason is because crafted items become so much more powerful than anything you can buy or find in the game. Finding these rare and strong items keeps me motivated as I explore the game world; it’s one of my favorite things to do in a game like this. If the “reward” of finding new gear is met with inferior results, it takes the fun out of exploration and dungeon crawling. Additionally, due to the power if crafting, little time was spent buying gear in shops, rendering money pointless. I spent 10,000 gold on a mystery box; other than that, there was nothing else I really wanted to buy. One important thing to mention is, if you have the option, I strongly recommend avoiding DAI on the PS3 and Xbox 360. The game is polluted with performance issues from ugly texture pop-ins to game freezes. The graphics are extremely poor in some areas, but get better in other sections. Plus, the overall text display of the game is extremely tiny therefore it is very hard to read from even a reasonable distance from the T.V. I cannot confirm any difference in load times, but loading is slow regardless of which platform is used. I’m not even going to get into the bugs. Basically, name your bug, and it’s guaranteed to be in the game. Some of these can be fixed with future patches, but it became clear from the very beginning of the game that DAI was not meant to be played on the previous generation of consoles. I will admit, I did not play much of the multiplayer, but from what I did play, the experience was underwhelming. Players can form into groups of 4, and enter raid-like missions to earn gold to purchase new equipment. Made by the same team that created Mass Effect 3’s multiplayer, transactions are made by buying packs of cards representing additional characters and items. Despite the similarities, it’s just not as good a ME3’s multiplayer. Only including 3 maps at launch, the game lacks any flavor, and didn’t hold my interest. Combat didn’t do the game any favors because it never felt like skill played much of a factor. The level of skill required just doesn’t compare to that of ME3’s version. I wouldn’t count out the multiplayer just yet. It’s possible, with balance changes and new add-ons, that the game could get much better. Excluding previous generation versions, the graphics are phenomenal. The world is beautifully designed with a variety of locations to explore. Voice acting is top-notch as usual for a Bioware game. The soundtrack is also very good. There were moments that send chills down my spine as the main theme roared heroically. Sometimes character speech was on the low side to the point where the volume required a bump or two. With the soundtrack as strong as it is, it was surprising to hear very little of it during overworld exploration similar to The Elder Scrolls games. Parts like these were often met with silence. I’m not entirely sure if this is a bug or not. The PS3 version destroyed my confidence in what is intentional. Dragon Age: Inquisition will be my personal pick for “Game of the Year”. The attention to detail and shear amount of content is exceptional, making it well worth the money. For the most part, Inquisition is a return to what made Origins a great game, and has renewed my faith in Bioware as a game developer. I wish the final sequences flowed better, and more missions created a stronger impact on the story, but the positives outweigh the negatives. The attention to detail and shear amount of content is exceptional, making it well worth the money. For the most part, Inquisition is a return to what made Origins a great game, and has renewed my faith in Bioware as a game developer.